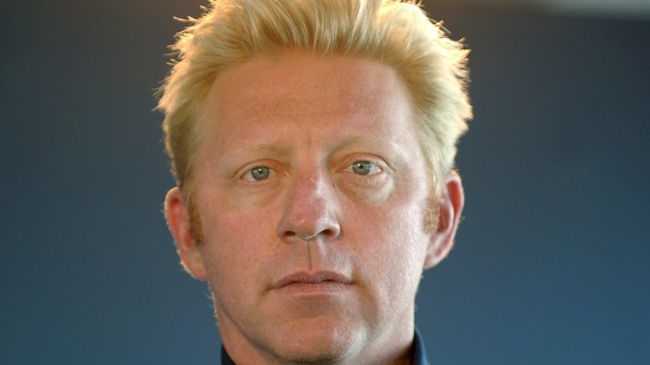 BORIS Becker is "embarrassed and very sad" about how his daughter was conceived. The former tennis ace thinks 15-year-old Anna is "wonderful" and adores the teenager, but admits he regrets sleeping with her mother Angela Ermakova in a brief encounter at London restaurant Nobu as it sparked a flurry of attention which "hastened" the end of his marriage to first wife Barbara. In an extract from his new book 'Boris Becker's Wimbledon' obtained by the Daily Mirror newspaper, the sporting legend - who previously denied sleeping with Angela in the restaurant's broom cupboard - said: "I became too much on the front pages, not enough on the back pages. "It hastened the end of my marriage to Barbara. "That might have happened anyway as we were having our problems, but while the media had a field day with the story, I gained a daughter, a wonderful young woman I have loved from the day she was born and continue to love now. "I was embarrassed and very sad about how it happened, and about the way it broke up my family. It left Anna's mother and me having to set about being parents without any relationship of our own to fall back on." Boris - who also has sons Noah, 21, and Elias, 15, with Barbara, and five-year-old Amadeus with current wife Lilly Kerssenberg - now has a "comfortable" relationship with Anna and her mother, but wishes he saw the teenager more often. He added: "I'm now at a place with her and her mother that's very comfortable, peaceful and family-like. I don't see Anna as much as I'd like, but her mother and I are working on becoming a normal separated family, which hasn't been easy considering our starting point. "We've had our battles. We come from different family backgrounds, we have different values and we have different views about education, but I respect very much the fact that she is my daughter's mother." "The whole situation was very emotional, and we both said things and did things that, in retrospect, we perhaps shouldn't have done."